Back in May 1999, this show introduced me to the world of Sonic. 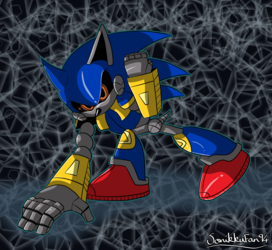 I was hooked by the show and thought it was amazing, I thought Sonic was amazing. Twenty years later and... Sonic Underground is a horrible show in my eyes XD It's like a cross between AOSTH and SatAM, but not very good. I find Sonic being a Prince a dumb idea, Manic is a redeeming character and Sonia is plain terrible, both in personality (typical girl) and character design. I noticed with this show that the character designs are ugly. The colours don't mix or compliment well (Purple and bright blue mixed with yellow for Sonic's guitar?! What about Sonia's pink, red and purple?!). I have a thing about colours matching. and Sonia is a classic example of how not to create a character. Besides the show being awful and music terrible, with the exception of the intro, this show introduced me to Sonic. As a celebration, I drew this. Had a go at shading and lighting effects. Do they work? Dunno but enjoy. 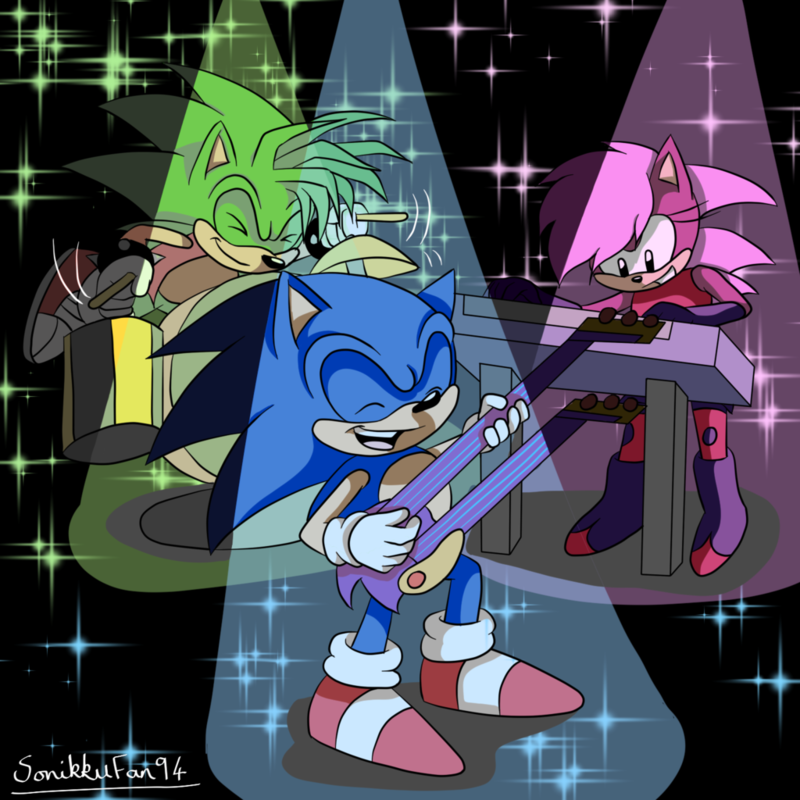 Sonic Underground was a stupid show, but it's a show that brings a dumb old smile to my face for some reason.